It often takes the more glamorous face of an international celebrity to sell the very latest superfoods to the wider British public. So which new superfoods will our best-loved film stars and fashion models tempt us with this year? Time to take a look at three top contenders hot-off-the-shelves! 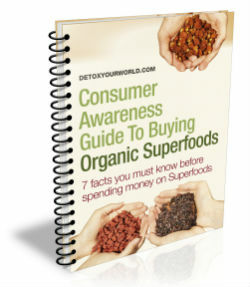 But before we get started…let’s first examine what superfoods actually are. The term ‘superfood’ is actually used to describe a wide variety of food products that each have one thing in common – they’re naturally rich in nutrients, such as protein, fibre, vitamins, minerals, essential fatty acids, which are considered beneficial for our health and wellbeing. Superfoods can be as boring as beans or as cool as cacao nibs. Yet, in our seemingly insatiable quest for ever more exotic-sounding superfoods, traditional favourites, such as blueberries, broccoli and bananas, are now frequently relegated to second place. Below are three superfoods (more than worthy of the title) that are extremely likely to pip these ‘oldies but goldies’ to the post. Protein – organic moringa powder contains an impressive 25% protein. Vitamins – it contains a variety of vitamins, including vitamins A, B1, B2, B6 & B12, and is especially high in vitamin C. In fact organic moringa powder actually supplies up to seven times more of this important vitamin than oranges. Minerals – organic moringa powder is rich in calcium and contains four times more of this mineral (which is particularly crucial for bone health) than milk. Incredibly, it also contains three times the potassium of bananas, in addition to notable amounts of iron, magnesium, phosphorous and zinc. Antioxidants – indeed, organic moringa powder benefits from six times more antioxidants than that better-known superfood, goji berries. Amino acids – organic compounds that are the building blocks of protein and help to maintain healthy skin. Chlorophyll – the naturally occurring plant pigment known for its powers of detox. Although the health benefits of moringa have been enjoyed since as long ago as 150 B.C, it’s only recently that top personalities, including English actress and supermodel, Lily Cole, and Oxfam Global Ambassador, Livia Firth, have discovered its liver protecting, immune-boosting, blood sugar regulating, stress busting and libido-enhancing properties. However, it’s arguably moringa powder’s anti-aging and skin-friendly nutrients, such as antioxidants and zinc, which make it so attractive to the celebrity circuit. And, just like them, you can enjoy your organic moringa powder in smoothies, shakes and protein drinks or mixed into a selection rawfood dishes and snacks. Alternatively, try using it to prepare a rejuvenating cup of tea that can be enjoyed relaxing in front of the box, or unwinding with the latest copy of your favourite glossy. Vitamins – including vitamin A, numerous B vitamins, vitamin C, vitamin E, vitamin K (which helps to reduce the appearance of broken veins) and vitamin D2 (which helps to promote healthy skin and hair). It’s also one of our planet’s richest sources of vitamin B5 (or pantothenic acid), an essential nutrient required for healthy adrenal glands and digestive system. Minerals – such as manganese, iron, calcium, zinc, and selenium. Dietary fibre – which is important for healthy bowels and can help to encourage weight loss. Complex non-linear polysaccharides – such as beta-glucans, which actively strengthen our immune system. Phytonutrients – such as betulinic acid, which has antiviral, antimalarial and anti-inflammatory properties. Chaga mushrooms have been a primal source of food in the mountains of Siberia for centuries and are used in traditional Chinese medicine to support the liver, lungs and spleen. And, these days both English singer-songwriter, actress, television presenter, and fashion designer, Kelly Osbourne, and global superstar Katy Perry, are every bit as likely to indulge in this powerful ancient superfood. For, they know that in addition to boosting their immune system, its generous vitamin D2 and vitamin K content can help to promote beautiful skin and hair that meets their exacting celebrity standards. Chaga’s digestion soothing properties are also no doubt much appreciated after a particularly heavy night on the tiles! Striving for that supermodel look yourself? Then try stirring organic chaga mushroom extract into hot or cold drinks and rawfood meals of your choice. Like organic moringa powder, you can also use organic chaga powder to prepare a chaga tea. Remember though, it’s extremely concentrated – so never consume more than 1 teaspoon of chaga mushroom extract per day, unless otherwise prescribed by a naturopath. Vegetable protein – organic chlorella powder consists of more than 50% protein and is thus an excellent protein source for those following a vegetarian, vegan or rawfood diet. In fact, so rich in protein is chlorella, that it was once explored by NASA for possible cultivation on space stations. Vitamins – including vitamins A, B1, B2, B6, B12, C and E.
Minerals – especially calcium, magnesium, iron, phosphorus and potassium. Chlorophyll – chlorella actually contains more chlorophyll per gram than any other algae or plant. DNA and RNA nucleic acids – which help to slow down the body’s aging process. Organic chlorella powder certainly doesn’t lack a high profile following – British model and actress, Rosie Huntington-Whiteley, Australian model, Miranda Kerr, former ‘Made In Chelsea’ beauty, Millie Mackintosh, and ex Posh Spice member, Victoria Beckham, have all been known to add organic chlorella powder to their green smoothies and juices. In addition to benefiting from a healthy dose of protein for those punishing workouts at the gym, they’ll also enjoy a gentle detox to boot. And, if you like to party as hard as your favourite celebs, then you’ll be pleased to learn that a 1996 study at Sapporo Medical University in Japan suggests that the antioxidants in chlorella can neutralise free radicals in alcohol, thus reducing hangover symptoms by up to 96 per cent when taken before drinking! As well as enjoying organic chlorella powder in green juices and smoothies, you can experiment until your hearts content by adding it to your favourite rawfood dishes, including homemade nut butters, salad dressings and sauces. ← Green smoothies – 6 great reasons they’re good to go! simply made a feew days in the past? Any positive?